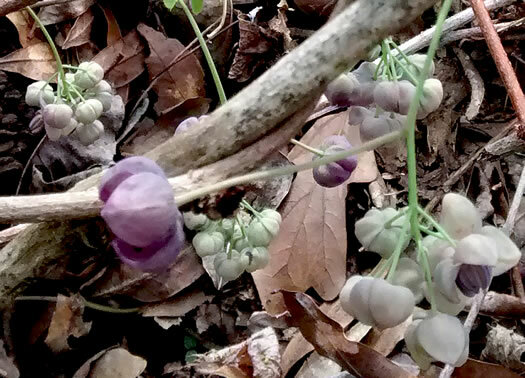 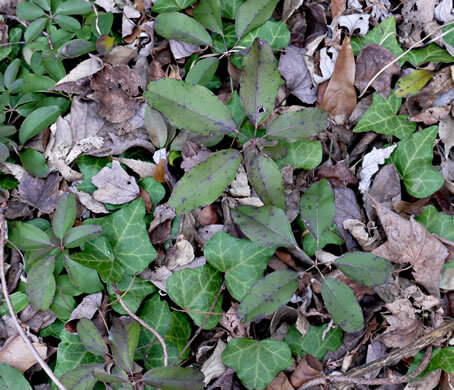 Likely to become a serious invasive alien in the Southeast in the next decade, per Weakley's Flora. 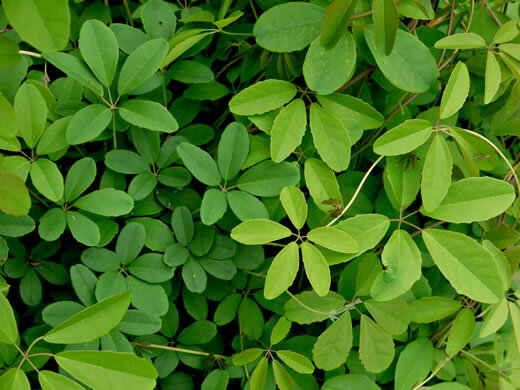 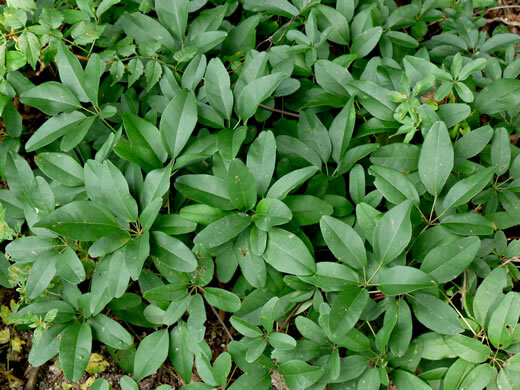 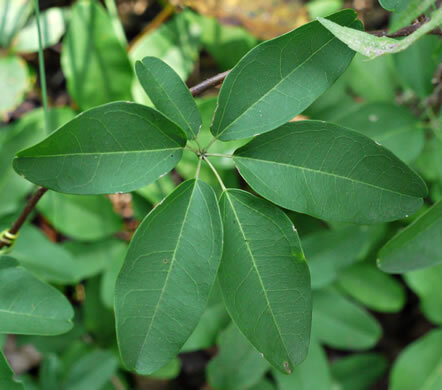 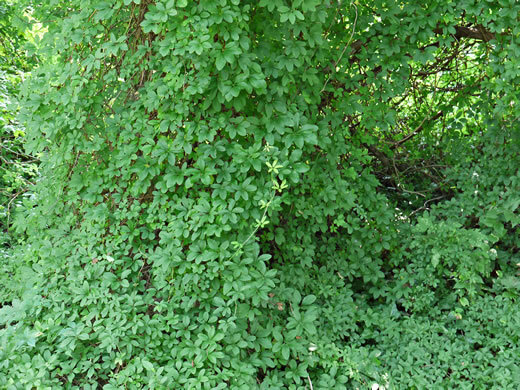 It forms dense mats in natural forests and is difficult to eradicate, per Weakley's Flora. 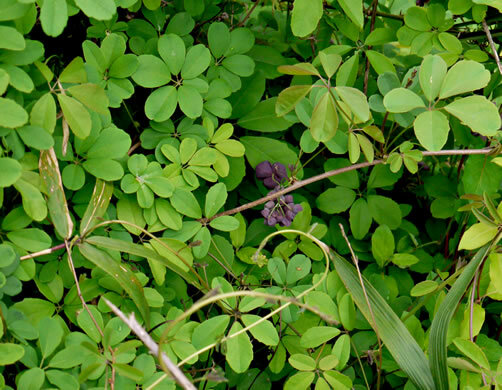 Five broadly oval leaflets arranged in a palm fan shape, per Invasive Plants, Guide to Identification, Impacts and Control. 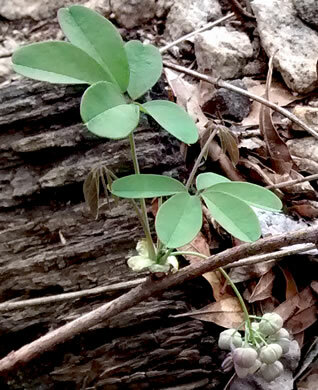 Male flwrs smaller in terminal clusters; female 1-1.5" wide, on long stalks, per A Field Guide for the Identification of Invasive Plants in Southern Forests. 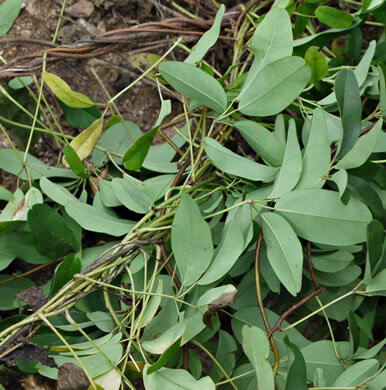 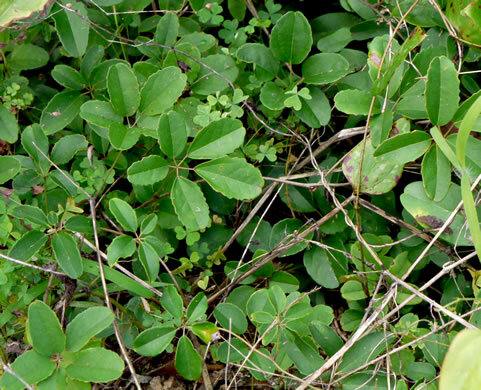 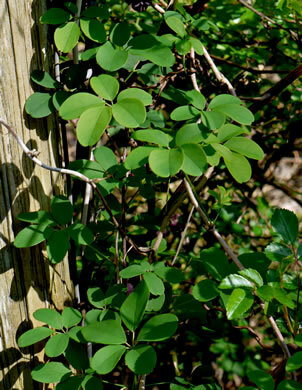 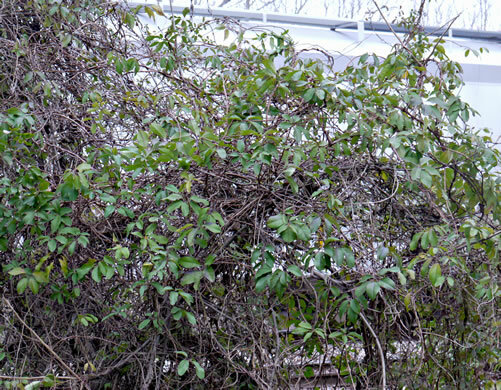 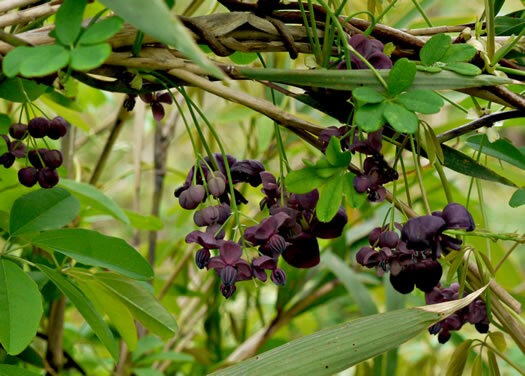 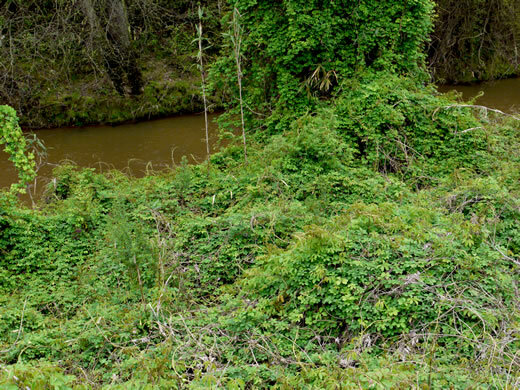 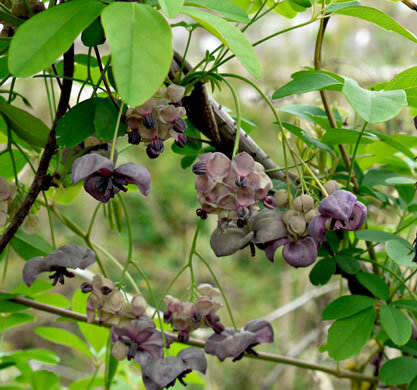 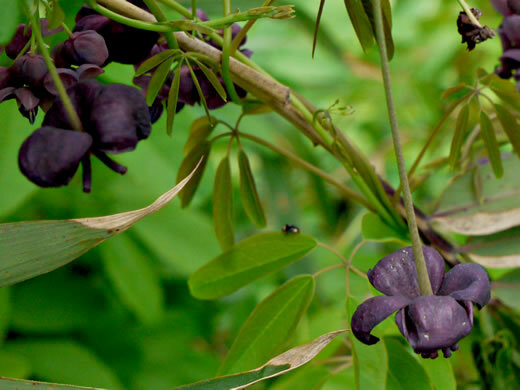 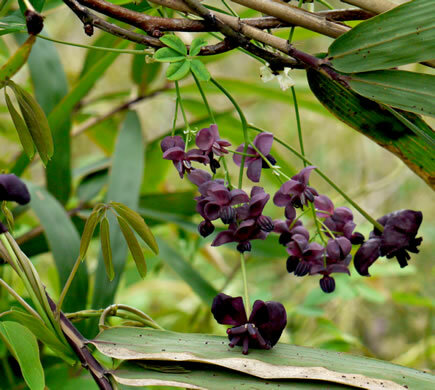 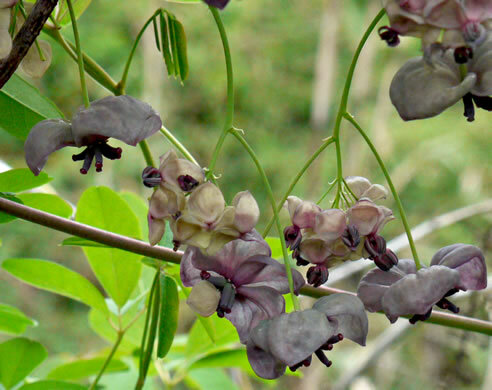 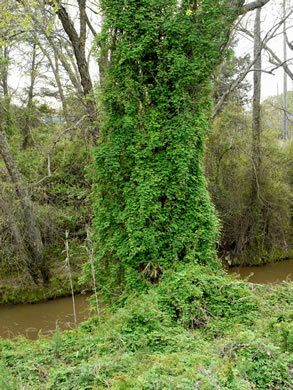 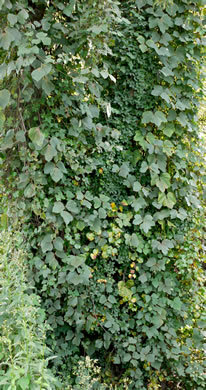 Its vigorous climbing vines cover and kill small trees and shrubs, per A Field Guide for the Identification of Invasive Plants in Southern Forests. 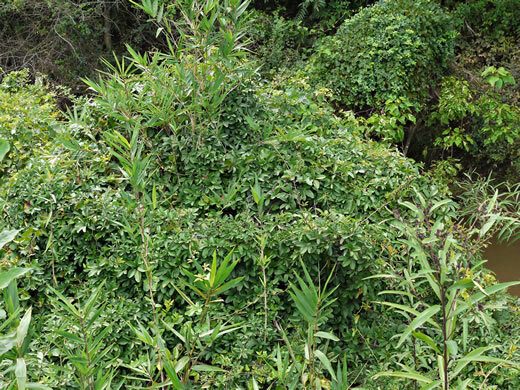 Leaflets obovate to elliptic to oblong, terminal leaflet usually largest, per A Field Guide for the Identification of Invasive Plants in Southern Forests. 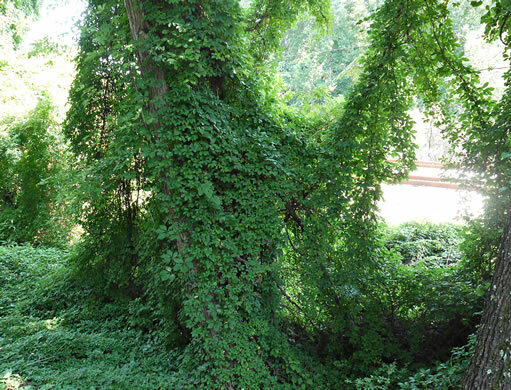 Holding its own with Kudzu.